Product #15603 | SKU 2477231 | 0.0 (no ratings yet) Thanks for your rating! 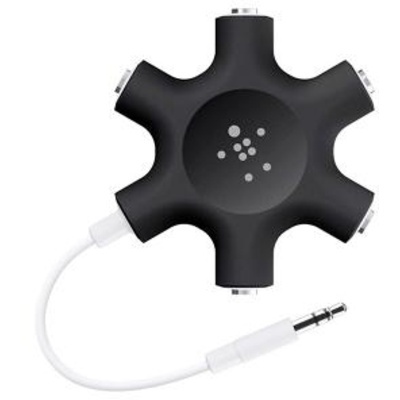 The Belkin RockStar Headphone Splitter features a hard-wired 3.5mm male connector that plugs into an MP3 player, as well as five female 3.5mm ports to plug in headphones or other devices. This allows you to share an audio source with up to five pairs of headphones. Mixing and fade-ins are controlled by the controls on each individual MP3 player.